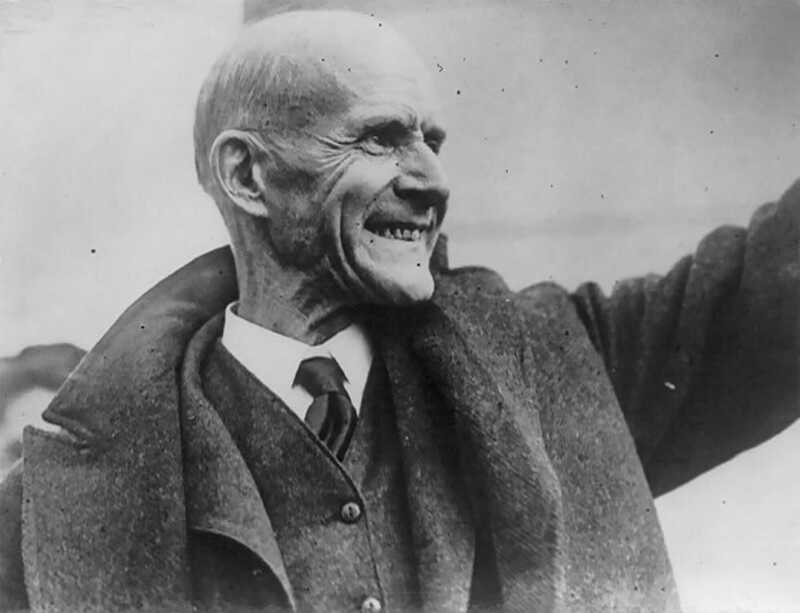 Outspoken leader of the labor movement, Eugene Debs opposed Woodrow Wilson as the Socialist Party candidate in the 1912 Presidential Election. Later, he would continue to rally against President Wilson and his decision to take American into war — and be jailed for it under the Espionage Act. The years leading up to the turn of the twentieth century brought America unprecedented prosperity -- but relatively few people, men like Andrew Carnegie and John D. Rockefeller Sr., controlled the new wealth. For the nation's working class, and leaders like Eugene Debs, it was a time to be angry. From steel fabrication to mining, American industries saw major protests as workers tried to secure 8-hour workdays, living wages, and other fundamental improvements. After leading the American Railway Union in a confrontation with federal troops sent to break up the Pullman strike of 1894, Debs was jailed for six months for contempt of court. 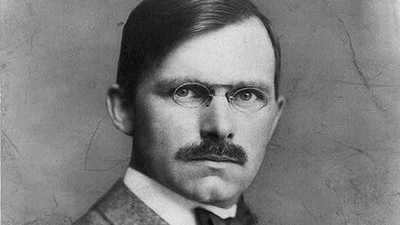 It was then that he came to a set of beliefs that roughly mirrored the socialist tenets of the European labor movements. Upon his release, Debs became a featured speaker for the Socialist Party, and ran for president in 1900 as their nominee. He lost, but continued to be the party's candidate in several subsequent elections. Debs found his greatest success in the 1912 Election, when he campaigned against Democratic nominee Woodrow Wilson, incumbent President William Howard Taft, and former President Theodore Roosevelt. 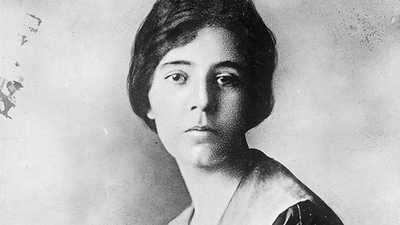 Debs received almost a million votes - six percent of the ballots cast. 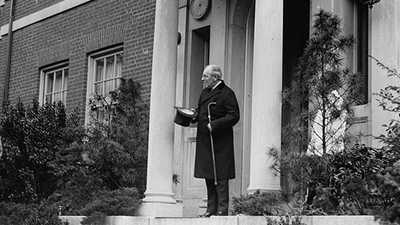 Debs lived until 1926, leaving a legacy best summed up in his own words. "Yes, I am my brother's keeper," he wrote. "I am under a moral obligation to him that is inspired, not by maudlin sentimentality, but by the higher duty I owe myself."